(i) THIS IS A COMBINED SYNOPSIS/REQUEST FOR QUOTATION FOR A COMMERCIAL ITEM PREPARED IN ACCORDANCE WITH THE FORMAT IN SUBPART 12.6 AS SUPPLEMENTED WITH ADDITIONAL INFORMATION INCLUDED IN THIS NOTICE. THIS ANNOUNCEMENT CONSTITUTES THE ONLY SOLICITATION; ARE BEING REQUESTED AND A WRITTEN SOLICITATION WILL NOT BE ISSUED. (ii) Solicitation No. BBG39-Q-15-PERSIAN-046 is issued as a Request For Quotation (RFQ). (iii) This solicitation document and incorporated provisions and clauses are those in effect from the Federal Acquisition Circular (FAC) 2005-082, effective May 7, 205. (iv) This is solicitation is not reserved for total small business set-aside. The North American Industry Classification Systems (NAICS) code for this acquisition is 71151. (v) The offeror shall provide a Firm Fixed Price quotation for hourly rate based on a minimum of 16 hours minimum and a maximum of 200 hours per month during a five-day period/week and may be required to work in shifts from 7:30 am until 3:30 pm or 3:30 pm until 11:30 pm or 11:30 pm until 7:30 am. Work shift may include weekends and Federal holidays. The offeror shall provide a Firm Fixed Price quotation reflecting hourly price for a base period of six (6) month period from July 1, 2015 through December 31, 2015, with one (1) option period of six (6) months from January 1, 2016 through June 30, 2016. The Price Proposal shall be valid for six (6) months from the date of submission. Multiple awards may be considered for this requirement at the discretion of the Government. 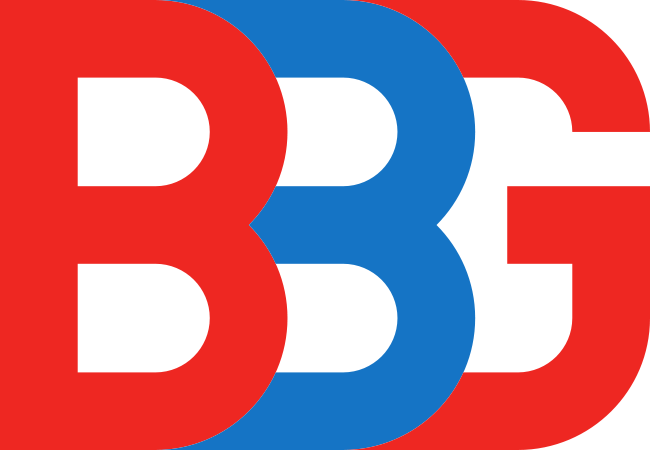 (vi) The Broadcasting Board of Governors (BBG), VOA Persian Division located in Washington, D.C. anticipates establishing Non-Personal Services Purchase Orders with contractors for Television, Internet and Multimedia services (Video Journalist/Reporter) as described in the attached Statements of Work (SOW) for VOA Persian Division (VOA/LNN) in New York, NY and surrounding areas. This acquisition is being issued under the authority of Federal Acquisition Regulation (FAR) Part 13. (vii) The period of performance is anticipated to start July 1, 2015 through December 31, 2015 with option to extend services one year from date of award. (viii) The Federal Acquisition Regulation (FAR) provision, FAR 52.212-1 Instruction to Offerors-Commercial Items, applies to this solicitation. Full-text of FAR provisions and clauses may be obtained from the Internet Web address at: http://acquisition.gov/far/index.html. Interested contractors who are capable of providing these services should submit a quotation identifying capabilities as noted below. The offeror shall demonstrate the ability and experience in providing the required services. 1. Technical Proposal (Resume) that states the Offeror’s resume/curriculum vitae and evidence of the Offeror’s pertinent experience and education that can be easily and quickly validated by the COR. See sample attachment A (Technical Proposal). 2. Past Performance. See attachment B (Past Performance Reference). 3. Contractors shall submit their quotation on an hourly basis. Work will be on an hourly basis. All prices shall include overhead (e.g., benefits), General and Administrative cost (G&A) , and profit. See sample attachment C – Price Proposal. In addition, the offeror must agree to undergo a security background check. If the offeror fails to pass a security background check, the contract shall be terminated. To ensure consideration for the intended position, please reference the solicitation number on each of your quotations. (ix) The Government will award a Commercial Items, Firm-Fixed-Price, Non-Personal services purchase order resulting from this RFQ to the responsible offeror whose offer conforming to the RFQ will be most advantageous to the Government, based on technical, past performance, and price in this quotation. When combined technical and past performance are more important than price. 1) Technical – Contractor must be able to produce and edit video program segments. Must be able to speak and write in Farsi and English. Advanced skills in television production are required, to include technical facility with digital video camera equipment and production techniques in-studio and in the field. Digital editing skills must include Final Cut Pro, related graphics programs and the ability to master VOA network distribution tool. (iv) brief description of the work performed. Pursuant to FAR 15.305(a) (2) (iv), in the case of an offeror without a record of relevant past performance or for whom information on past performance is not available, the offeror may not be evaluated favorably or unfavorably on past performance. 3) Price Quotation showing a breakdown of the price by hourly (See Attachment C -Example Price Quotation). Price quote for base period shall be the same for each option period. Price quotation shall be valid for six (6) months from date of submission. (x) Offerors shall include a completed copy of the provision FAR 52.212-3 Offeror Representations and Certifications-Commercial Items which is completed by registering in the System for Award Management (SAM) Website at: https://www.sam.gov/portal/public/SAM/. Quotation must also include contractor’s DUNS Number, prompt payment terms, and correct remittance address, if different from mailing address. CONTRACTING OFFICER REPRESENTATIVE: The Contracting Officer will appoint by letter a Contracting Officer Representative (COR) who will have the responsibility of ensuring that the work conforms to the requirements of the contract and such other responsibilities and authorities as may be specified in the letter of authorization or this contract. It is understood and agreed, in particular, that the COR shall not have authority to make changes in the scope or terms and conditions of the contract unless and only to the extent that such authority is specified in the letter of authorization or the contract. (xiii) Additional FAR provisions and clauses incorporated by reference and applicable to this solicitation and the proposed subsequent contract are: 52.217-8 Option to Extend Services; 52.217-9 Option to Extend the Term of the Contract; 52.237-3 Continuity of Services; 52.232-18 Availability of Funds (APR 1984); 52.232-19 Availability of Funds for next Fiscal year (APR 1984) and, 52.242-17 Government Delay of Work. This solicitation incorporates one or more solicitation provisions by reference, with the same force and effect as if they were given in full text. Upon request, the Contracting Officer will make their full text available. The offeror is cautioned that the listed provisions may include blocks that must be completed by the offeror and submitted with its quotation or offer. In lieu of submitting the full text of those provisions, the offeror may identify the provision by paragraph identifier and provide the appropriate information with its quotation or offer. Full text of all FAR clauses and provisions are available electronically at the following Internet address: (http://www.arnet.gov/far). (xv) Questions must be submitted in writing and only via email to Cheryl Nixon at Persian_Solicitations@voanews.com . Written questions must be submitted before 12:00 p.m. Eastern Daylight Time on June 16, 2015. Responses to questions will be posted to FedbizOps by COB June 19, 2015. Quotations shall be in writing and must be signed by an official who is authorized to bind the organization. Oral quotations will not be accepted. ALL TECHNICAL AND PRICE QUOTATIONS, AND PAST PERFORMANCE MUST BE SUBMITTED ELECTRONICALLY TO Persian_Solicitations@voanews.com BEFORE THE CLOSING DEADLINE BELOW to Cheryl Nixon, Contracting Officer, VOA Persian Division, Voice of America, Broadcasting Board of Governors, Room 1650, 330 Independence Ave., SW, Washington, DC 20237. CLOSING DEADLINE is before 11:59 p.m. Eastern Daylight Time on June 26, 2015. (xvi) Contact: Cheryl Nixon, Contracting Officer, email: Persian_Solicitations@voanews.com. All responsible sources may submit an offer that will be considered by the Agency. R–Childcare Security (Screening and Background Investigation) W9124J-15-R-0053 062315 Regina Espinoza, 210-466-2234 MICC Center – Fort Sam Houston (JBSA ) THIS IS A Sources Sought Notice ONLY. On behalf of the Department of Army Chaplain Office (DACH), the Mission and Installation Contracting Command Center Fort Sam Houston, Texas is conducting SOURCES SOUGHT SYNOPSIS (SSS) pursuant to FAR Part 10-Market Research. Interested sources should respond to the questions presented within this announcement. This notice shall NOT be considered a request for proposal, quotation, or an invitation for bid nor does responding to this SSS guarantee or exclude your participation in the forthcoming acquisition process. Any information provided by the Government under this notice is preliminary and may be updated or changed prior to release of the solicitation. The Government will NOT award a contract solely on the basis of this notice, nor will it be liable for any costs associated with preparing and submitting a response to this notice. All submissions will become Government property and will not be returned. The Government is seeking responses to this sources sought synopsis from all interested businesses capable of providing the requirement. Small businesses, in all socioeconomic categories (including, 8(a) Business Development Program, Historically Underutilized Business Zone, Service Disabled Veteran-Owned, Women-Owned Small Business, GSA etc.) are highly encouraged to identify capabilities in meeting the requirements at fair market prices. Provide suggestions on how the requirement could be structured to facilitate competition by and among small business concerns. Describe any conditions, if any that may limit small businesses from participation. The information received will be used by the Government as a preliminary planning tool for the purposes of obtaining information regarding the availability and capability of qualified businesses under the North American Industry Classification System (NAICS) Code 561611, Investigation Services with a size standard of $20.5M as measured by total revenues. The anticipated period of performance is one Base Year of 12 months and two (2) 12-month option years. Description of services: The Department of Army Chaplain Office (DACH) requires the screening and background check requirements for individuals who have regular contact with children in the execution and support of Army Chaplain Corps programs and activities, in compliance with Army Directive 2014-23 dated 10 September 2014 as defined in the attached Performance Work Statement. As part of the capability package, interested firms responding to this synopsis who believe they possess the expertise and experience shall submit a written technical capabilities statement. Interested contractors should also address whether they can fulfill the requirements via GSA schedule. Company profile to include company name, office location(s), DUNS/CAGE Code number, email address, and a statement regarding current small/large business status (i.e. – certified 8(a), Service Disabled Veteran-Owned (SDVOSB), Woman-Owned (WOSB), Economically Disadvantaged Woman-Owned (EDWOSB), certified HubZone). Large Businesses are permitted to respond to notice. Name, title, address, phone number, email address of company point of contact. 1. Prior/current corporate experience performing efforts of similar size and scope within the last three years, including contract number, organization supported, indication of whether as a prime or subcontractor and contract values. Contracts may include those with Federal, State and local Government as well as private companies. 2. What costs are associated with procuring criminal background checks for each individual screened? Is there an economy-of-scale to be gained in entering an agreement for a guaranteed number of checks per year? 3. What is the average turnaround time for a typical criminal background investigation? What action(s) can be taken on the part of the government to decrease the average time needed? are available to the government to capture the most recent data in each background check? 5. What is the best methodology for the government to send a large number of requests to a vendor? Does this methodology remain valid when sending hundreds of request per day to the vendor from various locations throughout the United States? 6. What is the best methodology for the vendor to relay background check results to the government? 7. What is the best method for coordinating and processing fingerprints and CNACI from individuals globally? 9. Contractor Facility: Describe your ability to comply with the quote mark Contractor Facility quote mark , PWS 1.6.5. Please note respondents are responsible for adequately marking proprietary, restricted or competition sensitive information contained in their response. All email responses should include in the subject line Company Name and the SSS Number. Questions shall be submitted via email to the POC above. This Sources Sought Synopsis is issued for maximizing competition. Should anything in the requirement be construed as limiting competition, please feel free to contact the MICC Special Competition Advocate at dean.m.carsello.civ@mail.mil. Responses to this sources sought notice shall be submitted on or before 3:00 PM on 23 June 2015 to the POC via email to Regina Espinoza at regina.m.espinoza.civ@mail.mil and Jon Martel at Jon.p.martel.civ@mail.mil or by mail to Mission and Installation Contracting Command, Mission Contracting Office – Fort Sam Houston, ATTN: Regina M Espinoza, 2205 Infantry Post Road, BLDG 605, Fort Sam Houston, Texas 78234-1361. R–Childcare Security (Screening and Background Investigation) W9124J15R00CC 062315 Regina Espinoza, 210-466-2234 MICC Center – Fort Sam Houston (JBSA ) THIS IS A Sources Sought Notice ONLY. 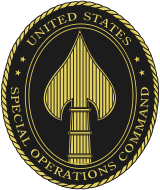 On behalf of the Department of Army Chaplain Office (DACH), the Mission and Installation Contracting Command Center Fort Sam Houston, Texas is conducting SOURCES SOUGHT SYNOPSIS (SSS) pursuant to FAR Part 10-Market Research. Interested sources should respond to the questions presented within this announcement. This notice shall NOT be considered a request for proposal, quotation, or an invitation for bid nor does responding to this SSS guarantee or exclude your participation in the forthcoming acquisition process. Any information provided by the Government under this notice is preliminary and may be updated or changed prior to release of the solicitation. The Government will NOT award a contract solely on the basis of this notice, nor will it be liable for any costs associated with preparing and submitting a response to this notice. All submissions will become Government property and will not be returned. Company profile to include company name, office location(s), DUNS/CAGE Code number, email address, and a statement regarding current small/large business status (i.e. -certified 8(a), Service Disabled Veteran-Owned (SDVOSB), Woman-Owned (WOSB, Economically Disadvantaged Woman-Owned (EDWOSB), certified HubZone). Large Businesses are permitted to respond to notice. Name, title, address, phone number, email address of company point of contact. 9. Contractor Facility: Describe your ability to comply with the quote mark Contractor Facility quote mark , PWS1.6.5. Please note respondents are responsible for adequately marking proprietary, restricted or competition sensitive information contained in their response. All email responses should include in the subject line Company Name and the SSS Number. Questions shall be submitted via email to the POC below. R–Quality Assessment (QA) Document Review & Communications VA70115N0147 Yolanda M Ray Contracting Officer (216) 447-8300 x 3542 yolanda.ray@va.gov This Request for Information is for planning purposes only at this time and shall not be construed as a solicitation or as an obligation on the part of the Department of Veterans Affairs. The Government Performance and Results Act (1993) and the Clinger-Cohen Act (1996) require Federal executive agencies to measure the results of their major programs and to establish processes to measure the contribution of their Information Technology (IT) investments to mission results. The Product Effectiveness (PE) Program Office (PO) falls under the Office of Quality Safety and Value (QSV) Office, within the Veterans Health Administration (VHA) of the Department of Veteran’s Affairs (VA). The Integration program provides critical services on complex projects spanning two (2) or more PE PO domains; ensuring all domains operate in unison and present a coherent and unified picture to the customer. Documents that PE PO produce provides their customers with independent insight to gauge the success of their investments by applying a set of assessment and measurement tools. Information within the documents are gathered from multiple sources, including clinical and business end users, managers, technical staff, databases and reports which allow customers to make evidence based decisions. These documents also provide customers with recommendations on how to improve health care solutions and processes to better attain customer satisfaction. Documents may include a collection of lessons learned; ensuring mistakes are not repeated and knowledge gained from pilot and iterative deployments are communicated. Coincidently, the PE PO generates additional varieties of documents that shall also be included. a. Review multiple types of documents of various lengths and content then provide tracked changes and a comment matrix in a timely manner. b. Working in partnership with the PO, develop templates for use by internal VA offices , which allow for consistency and standardization for the reporting of data and information. e. Provide logistical support in the assemblage of data from disparate sources. f. Write and submit recommended talking points and technical content for use within internal communications and educational materials and provide logistical assistance for documentation and approval via the QSV and agency process for submission for content. To successfully fulfill the contract requirements, the Contractor shall provide resources with clinical and healthcare business acumen experience; providing QA and Communication support to the VHA QSV PE Program. The Contractor shall also require sufficient level understanding of the projects so they can efficiently perform Document Technical Reviews, understanding that not all documents are final once they are reviewed the first time and may require multiple iterations, attend all meetings and communicate findings after documents are reviewed, providetechnical writing and logistical support for internal communications products, and provide monthly reports listing all deliverables along with reviewed documents; including, their domain, document type and title. By performing Document Technical Reviews and attending pertinent meetings the Contractor shall gain knowledge that will assist them in performing the following; Standardized Templates, Quick Facts, PE Publications, internal communications products, and educational speaking. Because this is a Request for Information announcement, no evaluation review letters and/or results will be issued to the respondents. No solicitation exists. Therefore, do not request a copy of the solicitation. Respondents will not be notified of the results of the review. The Government reserves the right to consider a small business, SDVOSB, VOSB or (8) a set-aside based on the responses received. Past Experience – Provide the following information on a maximum of three similar projects completed within the last five years for which the responder was the prime contractor. A project is considered similar if the contractor provided support during the development lifecycle, preferably in a health systems environment. ” The name, address, type and value of each project. ” The name, telephone and address of the owner of each projects. ” The firm’s role and services provided for each project. Capabilities/Qualifications – Provide the following information for each functional area listed in the “REQUIREMENTS” section above. ” Description of the capabilities/qualifications/skills your company possesses to perform task orders under each functional area. ” Resumes of key personnel for each functional area (one person may be listed as key personnel for more than one functional area). 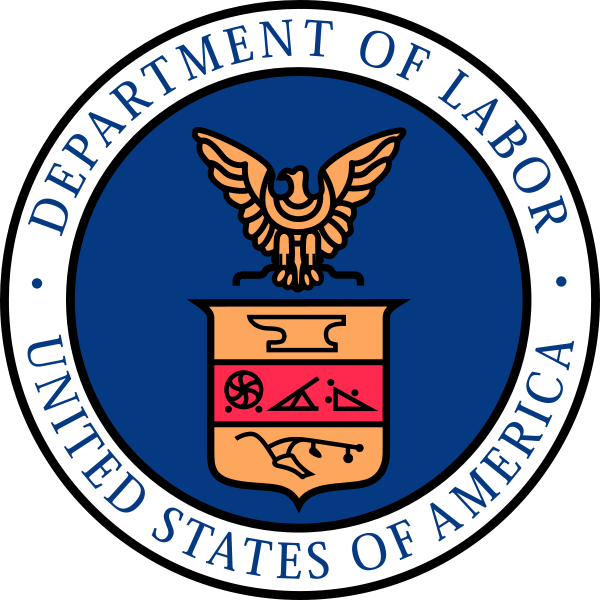 ” Whether they are small business, HUBZone small business; service-disabled, veteran-owned small business; 8(a) small business; veteran-owned small business; woman-owned small business; or small disadvantaged business; and their size classification relative to the North American Industry Classification System (NAICS) code for the proposed acquisition. Your response to this information requested will assist the Government in determining whether a set-aside is possible. It is requested that interested contractors submit an electronic submission of no more than ten (10) pages in length, single spaced, and 12 point font minimum that addresses the above information. Resumes are not included in the page count. Be sure to include the Request for Information number in the subject line of the email. Submissions shall be received no later than 1 p.m., Eastern Local Time on June 19, 2015. At this time, no solicitation exists. Therefore, DO NOT REQUEST A COPY OF THE SOLICITATION. Contractors having the skills and capabilities necessary to perform the stated requirements should forward an email only to the primary point of contact listed below. R–YOUTH MINISTRY COORDINATOR W91248-15-T-0035 061215 Michelle Petterson, 270-798-7810 MICC – Fort Campbell This is a combined synopsis/solicitation for commercial items prepared in accordance with the format in Subpart 12.6, as supplemented with additional information included in this notice. This announcement constitutes the only solicitation; proposals are being requested and a written solicitation will not be issued. This is a combined synopsis/solicitation for commercial items prepared in accordance with the format in Subpart 12.6, as supplemented with additional information included in this notice. This announcement constitutes the only proposals are being requested and a written solicitation will not be issued. Solicitation number W91248-15-T-0035 is issued as a Request for Quotation (RFQ). This solicitation document and incorporated provisions and clauses are those in effect through Federal Acquisition Circular 2005-81 dated 10 April 2015. This is a 100% small business set aside requirement. The NAICS Code is 813110, Religious Organizations; the small business size standard is $7.5M. The complete Offer Schedule, Performance Work Statement, and any other associated documents can be downloaded at https://www.fbo.gov/ under subject solicitation number. This solicitation is a request for quote for non-personnel services to provide the Installation Chaplains Office with a Catholic Parish Coordinator. The contractor duties shall be to provide pastoral care to the Catholic community, and participate in the liturgical life of the Catholic Community, especially for worship. It is contemplated that the Period of Performance will be for one-year (one-12-month period) and is anticipated to begin on or about 20 June 2015-19 June 2016. The provision at 52.212-1 Instructions to Offerors-Commercial Items, is applicable and is tailored as follows: Paragraphs (b)(5), (d), and (e) are deleted. Paragraph (a), Inspection and Acceptance, is deleted and replaced with Contract Clause 52.246-4, Inspection of Services – Fixed Price. The clause at 52.212-4, Contract Terms and Conditions-Commercial Items, applies to this acquisition, and is addended to incorporate the following clauses: 52.204-7004 Alt I System for Award Management; 52.252-2 Clauses Incorporated by Reference (Fill-in information – http://farsite.hill.af.mil); 252.201-7000 Contracting Officer’s Representative; and 252.243-7001 Pricing of Contract Modifications. The following clauses are added: The clause at 252.203-7002 Requirement to Inform Employees of Whistleblower Rights; 252.204-7003 Control of Government Personnel Work Product; 252.204-7008 Export-Controlled Items; 252.232-7003, Electronic Submission of Payment Requests and Receiving Reports. The clause at 252.232-7010, Levies on Contract Payments, The Clause at 252.243-7001, Pricing of Contract Modifications, (Dec 1991). The provision 52.252-1 Solicitation Provisions Incorporated by Reference is applicable. (Fill-in information – ,http://farsite.hill.af.mil. The provision at 52.212-2 Evaluation- Commercial Items is applicable; the following factors shall be used to evaluate offers: Technical (seven years of experience working as a Catholic Parish Coordinator in a military community, and two years college education; ); 2) Price are the evaluation criteria in Paragraph The Government intends to make award to Lowest Priced Technically Acceptable (LPTA) offer. Successful offerors must be registered in SAM (System for Award Management). The SAM website is https://www.sam.gov/portal/public/SAM/. Offerors are instructed to submit completed copies of FAR Provision 52.212-3, Offeror Representations and Certifications-Commercial Items and DFARS Provision 252.212-7000 Offeror Representations and Certifications- Commercial Items. The clause at 52.212-5, Contract Terms and Conditions Required To Implement Statutes or Executive Orders-Commercial Items, applies to this acquisition and the following additional FAR clauses cited within the clause also apply: 52.204-10, Reporting Executive Compensation and First-Tier Subcontract Awards (Jul 2010); 52.209-10; Prohibition on Contracting with Inverted Domestic Corporations; 52.219-28 Post-Award Small Business Representation; 52.222-3 Convict Labor; 52.222-21 Prohibition of Segregated Facilities (Jun 2003); 52.222-26 Equal Opportunity (Mar 2007); 52.222-36 Affirmative Action for Workers with Disabilities (June 1998); 52.222-39 Notification of Employee Rights Concerning Payment of Union Dues or Fees (Dec 2001); 52.222-41, Service Contract Act; 52.223-18 – Encouraging Contractor Policies to Ban Text Messaging While Driving; 52.225-13 Restriction on Certain Foreign Purchases; 52.232-33 Payment by Electronic Funds Transfer-Central Contractor Registration (Dec 2001); DFARS Clause 252.212-7001 Contract Terms and Conditions Required to Implement Statutes or Executive Orders Applicable to Defense Acquisitions of Commercial Items is applicable and the following additional clauses cited within the clause are also applicable: 52.209-7 Information Regarding Responsibility Matter; 52.228-5 Insurance — Work on a Government Installation; and 52.232-23 Assignment of Claims; 52.232-39; 252.203-7000 Requirements Relating to Compensation of Former DoD Officials; 252.232-7003 Electronic Submission of Payment Requests; 252.237-7010 Prohibition on Interrogation of Contract Clause 52.232-40 – Providing Accelerated Payment to Small Business Subcontractors also applies to this solicitation Detainees by Contractor Personnel, in solicitations and contracts for the provision of services. This is a combined synopsis/solicitation issued in accordance with FAR Parts 6, 12, 13 and 15. The National Endowment for the Arts (NEA) invites contractors to submit proposals for the services described in the attached statement of work and request for proposal (RFP). 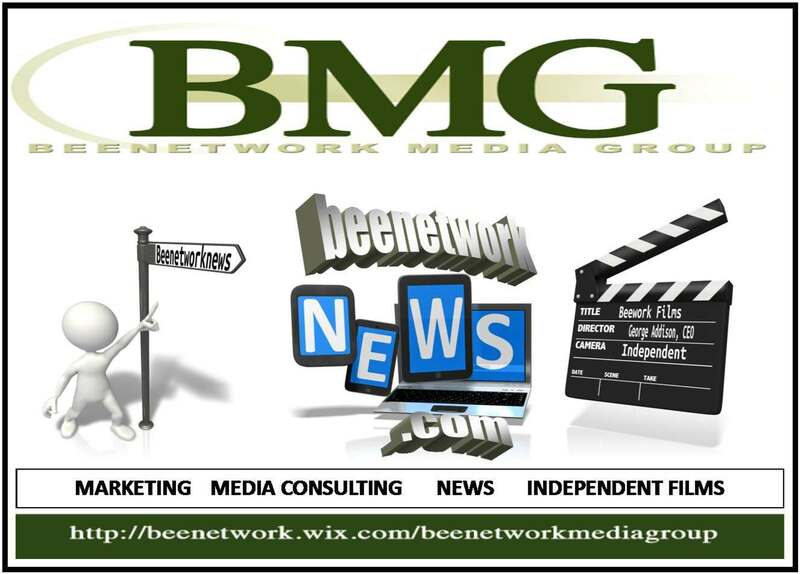 Enclosed you will find a statement of work/solicitation seeking proposals for video production services. SET-ASIDE: This acquisition is a 100% women-owned small business (WOSB) set-side in accordance with FAR 6.207 and FAR clause 52.219-30. Only women-owned small businesses eligible under the WOSB program will be eligible for award; this may include women-owned smallbusinesses, women-owned small business joint ventures, etc. 1. Please read the entire RFP including the important guidance provided in Section L.
2. This RFP in no way obligates the Government to award a contract, nor does it commit the Government to pay any costs incurred in preparing and submitting your proposal. 3. The Government may award a partial award(s) or multiple awards for this requirement. QUESTIONS DEADLINE: Questions concerning this proposal must be submitted only via email to chaudhryu@arts.gov by 5:00 PM EST, 15 Jun 2015. PROPOSALS DEADLINE: Proposals must be submitted only via email to chaudhryu@arts.gov by 5:00 PM EST, 29 Jun 2015. The Carl D. Perkins Job Corps Center, operated by Horizons Youth Services, is requesting bids to supply the center cafeteria and culinary arts class with food and supplies. The products must meet mid-grade level. At a minimum, bi-weekly (twice weekly) deliveries are required. The period of performance will be July 1, 2015-September 30, 2015. The attached spreadsheet, Food Bid List, contains a complete list of items to be purchased. Bidders are required to enter pricing on the spreadsheet provided only. The package size and the cost are to be entered in the spaces provided. Bids for “SPECIAL ORDER” items are NOT permitted. Vendors are required to bid items that are on the Food Bid List, NO SUBSTITUTIONS. Pricing of the awarded items must be honored throughout the entire period of performance. No price changes will be accepted or paid. Bids submitted in other formats will be disregarded. Completed bids must be emailed to osborne.annette@jobcorps.org by the deadline of Wednesday, June 24, 2015 at 12:30 pm. Late bids will be disregarded. 99 — STRUCTURAL ASSESSMENT AND HAZMAT TESTING HSCG85-15-Q-P45M14 061915 DONALD R. DEAN, PO2, Phone 5106375987, Email DONALD.R.DEAN@USCG.MIL – London C. Venzon, Contracting Officer, Phone 510-637-5993, Email London.C.Venzon@uscg.mil This is a combined synopsis/solicitation for commercial items prepared in accordance with the format in FAR Subpart 12.6 as supplemented with additional information included in this notice. Request for Quotations number is HSCG85-15-Q-P45M14 and is issued as a request for quotations (RFQ). This announcement constitutes the only solicitation; quotations are being requested and a written solicitation will not be issued. This Request for Quotations incorporates provisions and clauses in effect through Federal Acquisition Circular 2005-70 dated September 30, The NAICS Code is 541620. The small business size standard is $15.0 Million. All responsible sources may submit proposals that will be considered by the agency. The contract will be awarded on a firm-fixed-price and past performance basis with past performance and price being equal in consideration for award. Using simplified acquisition procedures in accordance with FAR Part 13.5. 1. STRUCTURAL ASSESSMENT, PER WORK ITEM #1 SCOPE OF WORK. 2. TEST FOR HAZARDOUS MATERIAL, PER WORK ITEM #2 SCOPE OF WORK. 3. ASBESTOS ASSESSMENT, PER WORK ITEMS #3 SCOPE OF WORK. WORK ITEMS COVER 65FT WLR COAST GUARD CUTTER & ATTAHCED 100FT BARGE. This contract incorporates one or more clauses by reference, with the same force and effect as if they were given in full text. Upon request, the Contracting Officer will make their full text available. The full text of FAR clauses may be accessed electronically at this address:http://www.arnet.gov/far/index.html. 2.FAR 52.212-1 Instructions to Offerors-Commercial Items (Jun 2008). Parties responding to this solicitation may submit their offer in accordance with their standard commercial practices (e.g. on company letterhead, formal quote form, etc.) but must include the following information: 1) company’s complete mailing and remittance addresses, 2) discounts for prompt payment if applicable 3) cage code, 4) Dun & Bradstreet number, 5) Taxpayer ID number and 6) Pricing, and Delivery information,. (7) Offerors are instructed to include a completed copy of Federal Acquisition Regulation (FAR) 52.212-3, “Offerors Representations and Certification–Commercial Items (DEC 2012)” and Alt 1 included with their quotation (the provision is attached), or be registered with Online Reps and Certs, https://www.SAM.gov. 3. FAR 52.212-2 Evaluation-Commercial Items (Jan 1999). – This is a commercial item acquisition. The evaluation and award procedures in FAR 13.106 apply. The following evaluation factors shall be considered: Past Performance, Price. Offerors shall submit at least 3 relevant past performance references for contracts with private industry or government instrumentalities (federal, state, or local) performed within the last 3 years. References shall include: 1. Name & contact information of the point of contract (PM/COR), 2. Name of Organization, 3. A brief description of service, 4. Contract Number/Task Order 5. Status (Prime or Sub). The USCG reserves the right to utilize past performance information other than the information submitted with the proposals received in conducting the evaluation. A Contractor without a record of relevant past performance or for whom information on past performance is not available will not be evaluated favorably or unfavorably on past performance, but will receive a neutral rating. The USCG may consider past performance information regarding predecessor companies or subcontractors that will perform major or critical aspects of the requirement when such information is considered relevant. The Government will award a purchase order resulting from this solicitation to the responsible offeror whose offer conforming to the solicitation will be most advantageous to the Government, price and other factors considered. The Government will evaluate offers and make award to the lowest priced technically acceptable offer that is responsive to the terms of this solicitation. 4. FAR 52.212-3 Offeror Representations and Certifications-Commercial Items (NOV 2012) – An offeror shall complete only paragraphs (b) of this provision if the offeror has completed the annual representations and certificates electronically at http://orca.bpn.gov. If an offeror has not completed the annual representations and certifications electronically at the ORCA website, the offeror shall complete only paragraphs (c) through (o) of this provision which can be obtained electronically at http://www.arnet.gov/far. 52.222-19, Child Labor-Cooperation with Authorities and Remedies (Jul 2010) (E.O. 13126). 52.223-18, Contractor Policy to Ban Text Messaging while Driving (Aug 2011) (E.O. 13513). 52.225-13, Restrictions on Certain Foreign Purchases (Jun 2008) (E.O.’s, proclamations, and statutes administered by the Office of Foreign Assets Control of the Department of the Treasury). 52.232-33, Payment by Electronic Funds Transfer-Central Contractor Registration (Oct. 2003) (31 U.S.C. 3332). (a) The Buy American Act restricts the purchase of supplies that are not domestic end products. For manufactured end products, the Buy American Act uses a two-part test to define a domestic end product. (2) The cost of domestic components must exceed 50 percent of the cost of all the components. In accordance with 41 U.S.C. 431, this component test of the Buy American Act has been waived for acquisitions of COTS items (see 12.505(a)). (b) The Buy American Act applies to small business set-asides. A manufactured product of a small business concern is a U.S.-made end product, but is not a domestic end product unless it meets the component test in paragraph (a)(2) of this section. United States Coast Guard Ombudsman Program. It is the policy of the United States Coast Guard (USCG) to issue solicitations and make contract awards in a fair and timely manner. The Ombudsman Program for Agency Protests (OPAP) was established to investigate agency protest issues and resolve them without expensive and time-consuming litigation. OPAP is an independent reviewing authority that is empowered to grant a prevailing protester essentially the same relief as the Government Accountability Office (GAO). Interested parties are encouraged to seek resolution of their concerns within the USCG as an Alternative Dispute Resolution (ADR) forum, rather than filing a protest with the GAO or some external forum. Interested parties may seek resolution of their concerns informally or opt to file a formal agency protest with the contracting officer or Ombudsman. Informal forum with the Ombudsman. Interested parties who believe a specific USCG procurement is unfair or otherwise defective should first direct their concerns to the cognizant contracting officer. If the contracting officer is unable to satisfy the concerns, the interested party is encouraged to contact the USCG Ombudsman for Agency Protests. Under this informal process, the agency is not required to suspend contract award performance. Use of an informal forum does not suspend any time requirement for filing a protest with the agency or other forum. In order to ensure a timely response, interested parties should provide the following information to the Ombudsman: solicitation/contract number, contracting office, contracting officer, and solicitation closing date (if applicable). 11. Questions and quotes shall be emailed to Donald.r.dean@uscg.mil . Contractors are responsible for verifying receipt of quotes. T — Video Editing and Consulting HQ003415R0100 061915 Michael John Fanizzo, Phone 7035458991, Email michael.j.fanizzo.civ@mail.mil This is a Request for Information for a tentative requirement to edit video from miscellaneous sources to produce evidence for use at trial. As part of its market research, WHS is issuing this RFI to determine if there exists an adequate number of qualified interested contractors capable. The Government may use the responses to this RFI for information and planning purposes. The draft work statement may vary from the work scope in a final PWS included in any Request for Proposals/Quotes (RFP/Q). 1. Editing approximately 500 separate film and/or audio clips, each between 30 seconds and 2 minutes long. Formats of original material include VHS tape, digital video, cassette tapes of audio. The Government will attempt to provide the digital format in the best quality possible. 2. Consulting on video collection and presentation. 1. What information on the videos and desired presentation is necessary to propose on this effort? 2. What type of contract is generally used for these services (FFP, T&M, etc)? 3. Are there any industry practices or deliverables that could inform the requirement? This RFI is only for the purpose of identifying potential sources as part of WHS’ market research. No RFP/Q exists; therefore, do not request a copy of the RFP/Q. Responses to this RFI are not proposals/quotes on which WHS can issue any contracts/task orders. This RFI is issued for information and planning purposes only and does not itself constitute a Request for Proposal/Quotations (RFP/Q). The Government does not intend to award a Schedule order(s) or BPAs based only on responses to this RFI. All information received in response to this RFI marked “Proprietary” will be protected and handled accordingly. Interested parties are responsible for adequately marking proprietary or competition sensitive information contained in their response. Responses to the RFI will not be returned. Responders are solely responsible for all expenses associated with responding to this RFI. WHS will not pay for information received in response to this RFI. There is no commitment by the Government to issue an RFP/Q, make an award or awards, or to be responsible for any monies expended by industry responses to this RFI. Do not submit pricing information in response to this RFI. 69–Meggit MTSI Virtual Portable FATS L7 Law Enforcement Training System W22G1F514000YY 061115 Name: Client Services, Title: Client Services, Phone: 1.877.933.3243, Fax: 703.422.7822, Email: Clientservices@fedbid.com; CANCELLATION NOTICE:Bids are being solicited under solicitation number W22G1F514000YY. This announcement constitutes the only solicitation; bids are being requested and a written solicitation will not be issued. The solicitation is issued as an invitation for bids (IFB), unless otherwise indicated herein.If your company can provide the product/services listed on the solicitation and comply with all of the solicitation instructions, please respond to this notice. To view the specifications, please go to http://www.FedBid.com and reference Buy No. 721943. R – PeopleSoft Staff Augmentation and Support SOL RFP-3460-0-2015/KBM PeopleSoft Staff Augmentation and Support Due Date: 7/2/2015 3:00 PM Eastern Contact: Kim Henry For more information about this opportunity please contact the buyer directly. R – Professional Video Filming RFP15-3085R (Main Document) SOL RFP15-3085R Professional Video Filming RFP15-3085R (Main Document) Due Date: 6/23/2015 For more information about this opportunity please contact the buyer directly. R – REQUEST FOR PROPOSALS VIDEO PRODUCTION PROFESSIONAL SERVICES T SOL Public Notice ID: 22536343 REQUEST FOR PROPOSALS VIDEO PRODUCTION PROFESSIONAL SERVICES The National Indian Council on Aging, Inc. (NICOA) is soliciting proposals forVideo Production Professional Services funded by a grant from the Dept. of HHS, Administration for Community Living. Expertise with capturing moving images, video editing, and recording on electronic media is required. Proposals should include project rates and available services. Bidding will remain open until June 26, 2015. A complete RFP description is available at http://www.nicao.org. Submit proposals by mail to: Jonnie Gilbert, Finance Director, National Indian Council on Aging, Inc., 10501 Montgomery Blvd NE, Suite 210, Albuquerque, NM 87111 or email to: jgilbert@nicoa.org. Journal: June 6 – 12, 2015 For more information about this opportunity please contact the buyer directly. 99 – Lunchroom Commodities-Supplement (Warehouse Delivery) #7113Bid c SOL Lunchroom Commodities-Supplement (Warehouse Delivery) #7113Bid closes @ 3:00 p.m. on July 7, 2015 For more information about this opportunity please contact the buyer directly. R – REQUEST FOR PROPOSALS VIDEO PRODUCTION PROFESSIONAL SERVICES T SOL Public Notice ID: 22532726 REQUEST FOR PROPOSALS VIDEO PRODUCTION PROFESSIONAL SERVICES The National Indian Council on Aging, Inc. (NICOA) is soliciting proposals forVideo Production Professional Services funded by a grant from the Dept. of HHS, Administration for Community Living. Expertise with capturing moving images, video editing, and recording on electronic media is required. Proposals should include project rates and available services. Bidding will remain open until June 26, 2015. A complete RFP description is available at http://www.nicao.org. Submit proposals by mail to: Jonnie Gilbert, Finance Director, National Indian Council on Aging, Inc., 10501 Montgomery Blvd NE, Suite 210, Albuquerque, NM 87111 or email to: jgilbert@nicoa.org. Journal: June 6 – 12, 2015 For more information about this opportunity please contact the buyer directly. R – RFP-2-16 ESPC Elizabethtown CTC and Jefferson CTC KCTCS RFP : 1 SOL RFP-2-16 ESPC Elizabethtown CTC and Jefferson CTC KCTCS RFP : 1500000327 Facilities & Support Services Energy Savings Published On : 6/8/15 Amended On : Closing On : 8/13/15 3:00 PM EDT For more information about this opportunity please contact the buyer directly. 99 – RFP 02-16 Academic Regalia, Graduation Announcements and Diploma SOL RFP 02-16 Academic Regalia, Graduation Announcements and Diploma Covers Due: 6/24/15 2:00 PM (ET) For more information about this opportunity please contact the buyer directly. R – MAP-21, Section 5310 Call for Project Applications SOL 5310-15-001 MAP-21, Section 5310 Call for Project Applications Due Date: Aug 06, 2015 For more information about this opportunity please contact the buyer directly. R – REQUEST FOR PROPOSALS VIDEO PRODUCTION PROFESSIONAL SERVICES T SOL Public Notice ID: 22530337 REQUEST FOR PROPOSALS VIDEO PRODUCTION PROFESSIONAL SERVICES The National Indian Council on Aging, Inc. (NICOA) is soliciting proposals forVideo Production Professional Services funded by a grant from the Dept. of HHS, Administration for Community Living. Expertise with capturing moving images, video editing, and recording on electronic media is required. Proposals should include project rates and available services. Bidding will remain open until June 26, 2015. A complete RFP description is available at http://www.nicao.org. Submit proposals by mail to: Jonnie Gilbert, Finance Director, National Indian Council on Aging, Inc., 10501 Montgomery Blvd NE, Suite 210, Albuquerque, NM 87111 or email to: jgilbert@nicoa.org. Journal: June 6 – 12, 2015 For more information about this opportunity please contact the buyer directly. R – REQUEST FOR PROPOSALS VIDEO PRODUCTION PROFESSIONAL SERVICES T SOL Public Notice ID: 22526286 REQUEST FOR PROPOSALS VIDEO PRODUCTION PROFESSIONAL SERVICES The National Indian Council on Aging, Inc. (NICOA) is soliciting proposals forVideo Production Professional Services funded by a grant from the Dept. of HHS, Administration for Community Living. Expertise with capturing moving images, video editing, and recording on electronic media is required. Proposals should include project rates and available services. Bidding will remain open until June 26, 2015. A complete RFP description is available at http://www.nicao.org. Submit proposals by mail to: Jonnie Gilbert, Finance Director, National Indian Council on Aging, Inc., 10501 Montgomery Blvd NE, Suite 210, Albuquerque, NM 87111 or email to: jgilbert@nicoa.org. Journal: June 6 – 12, 2015 For more information about this opportunity please contact the buyer directly. R — Certified Professional Accounting Services. SOL RFP #2O15-PC-1 DUE 07/01/2015 The Frankfort/Franklin County Planning Commission (the Planning Commission) is soliciting competitive, sealed responses from qualified Certified Professional Accounting firms for a two (2) year contract with the option of two (2) One (1) year extensions, to provide an annual audit and accounting services. Sealed proposals will be received in the Planning Department, City Hall, 315 West Second Street, Frankfort, Kentucky, until 2:00 p.m. EST, Wednesday, July 1, 2015. All proposals must be turned in to the Office of the City s Planning and Building Codes Department, City Hall, 315 West Second St., Frankfort, KY, no later than 2:00 p.m. EST on date of bid opening (July 1, 2015). Proposals cannot be accepted at any other location. Proposals will be opened thereupon or about 2:05 p.m. EST, Wednesday, July 1, 2015, at a public bid opening in the Commission Chamber of City Hall, 315 West Second Street, Frankfort, Kentucky. Proposals must be received by the designated date and time and none will be considered thereafter. The Frankfort/Franklin County Planning Commission reserves the right to reject any and all proposals received, and to select that bid which it determines to be in its best interest. The award of this proposal will be made on the basis of the specifications within the RFP as permitted in KRS 45A.365. All proposals, information, and specifications regarding this RFP are available from the City of Frankfort Planning & Building Codes Department. Bidders are advised to clearly mark the sealed bid with the RFP number and description listed above. The City of Frankfort, Kentucky or the Frankfort/Franklin County Planning Commission is not responsible for the premature opening of, or the failure to open, a sealed bid not properly addressed or identified. Bidders are invited to be present for the opening of the proposals submitted. This notice is provided by the Kentucky Procurement Technical Assistance Center (PTAC). The information is believed to be correct, but should be verified with the issuing agency/organization. FedBid.com Register for free at http://www.FedBid.com and enter the Buy number to find out more about the bid solicitation below. R — STRUCTURAL ASSESSMENT AND HAZMAT TESTING. SOL HSCG85-15-Q-P45M14 DUE 06/19/2015 DONALD R. DEAN, PO2, Phone 5106375987, Email DONALD.R.DEAN@USCG.MIL – London C. Venzon, Contracting Officer, Phone 510-637-5993, Email London.C.Venzon@uscg.mil This is a combined synopsis/solicitation for commercial items prepared in accordance with the format in FAR Subpart 12.6 as supplemented with additional information included in this notice. Request for Quotations number is HSCG85-15-Q-P45M14 and is issued as a request for quotations (RFQ). This announcement constitutes the only solicitation; quotations are being requested and a written solicitation will not be issued. This Request for Quotations incorporates provisions and clauses in effect through Federal Acquisition Circular 2005-70 dated September 30, The NAICS Code is 541620. The small business size standard is $15.0 Million. All responsible sources may submit proposals that will be considered by the agency. The contract will be awarded on a firm-fixed-price and past performance basis with past performance and price being equal in consideration for award. Using simplified acquisition procedures in accordance with FAR Part 13.5. The United States Coast Guard Surface Force Logistics Center has a requirement for the following service: 1. STRUCTURAL ASSESSMENT, PER WORK ITEM #1 SCOPE OF WORK. 2. TEST FOR HAZARDOUS MATERIAL, PER WORK ITEM #2 SCOPE OF WORK. 3. ASBESTOS ASSESSMENT, PER WORK ITEMS #3 SCOPE OF WORK. WORK ITEMS COVER 65FT WLR COAST GUARD CUTTER & ATTAHCED 100FT BARGE. PERIOD OF PERFORMANCE: 30JUN15 THRU 15JUL15 Service Location: USCGC OBION 3301 HWY 60 EAST OWENSBORO, KY 42303 1. 52.252-2 CLAUSES INCORPORATED BY REFERENCE (FEB 1998) This contract incorporates one or more clauses by reference, with the same force and effect as if they were given in full text. Upon request, the Contracting Officer will make their full text available. The full text of FAR clauses may be accessed electronically at this address: http://www.arnet.gov/far/index.html. FAR 52.204-4 Printed or Copied Double-sided on Recycled Paper (AUG 2000) FAR 52.204-6 Data Universal Numbering System (DUNS) Number (JUN 1999) FAR 52.211-15 Defense Priorities and Allocation System Rating (APR 2008) D0 A3 rating FAR 52.217-5 Evaluation of Options (JUL 1990) FAR 52.222-1 Notice to the Government of Labor Disputes (FEB 1997) FAR 52.223-3 Hazardous Material Identification and Material Safety Data (JAN 1997) Alt I (JUL 1995) FAR 52.233-4 Applicable Law for Breach of Contract Claim (OCT 2004) FAR 52.245-4 Government-Furnished Property (Short Form) (JUN 2003) HSAR 3052.209-72 Organizational Disclosure of Conflicts of Interest 2.FAR 52.212-1 Instructions to Offerors-Commercial Items (Jun 2008). Parties responding to this solicitation may submit their offer in accordance with their standard commercial practices (e.g. on company letterhead, formal quote form, etc.) but must include the following information: 1) company’s complete mailing and remittance addresses, 2) discounts for prompt payment if applicable 3) cage code, 4) Dun & Bradstreet number, 5) Taxpayer ID number and 6) Pricing, and Delivery information,. (7) Offerors are instructed to include a completed copy of Federal Acquisition Regulation (FAR) 52.212-3, “Offerors Representations and Certification–Commercial Items (DEC 2012)” and Alt 1 included with their quotation (the provision is attached), or be registered with Online Reps and Certs, https://www.SAM.gov. 3. FAR 52.212-2 Evaluation-Commercial Items (Jan 1999). – This is a commercial item acquisition. The evaluation and award procedures in FAR 13.106 apply. The following evaluation factors shall be considered: Past Performance, Price. 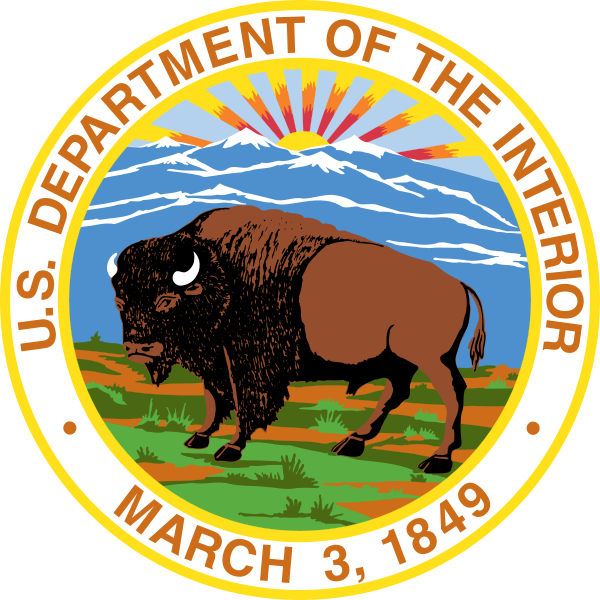 Offerors shall submit at least 3 relevant past performance references for contracts with private industry or government instrumentalities (federal, state, or local) performed within the last 3 years. References shall include: 1. Name & contact information of the point of contract (PM/COR), 2. Name of Organization, 3. A brief description of service, 4. Contract Number/Task Order 5. Status (Prime or Sub). The USCG reserves the right to utilize past performance information other than the information submitted with the proposals received in conducting the evaluation. A Contractor without a record of relevant past performance or for whom information on past performance is not available will not be evaluated favorably or unfavorably on past performance, but will receive a neutral rating. The USCG may consider past performance information regarding predecessor companies or subcontractors that will perform major or critical aspects of the requirement when such information is considered relevant. The Government will award a purchase order resulting from this solicitation to the responsible offeror whose offer conforming to the solicitation will be most advantageous to the Government, price and other factors considered. The Government will evaluate offers and make award to the lowest priced technically acceptable offer that is responsive to the terms of this solicitation. 4. FAR 52.212-3 Offeror Representations and Certifications-Commercial Items (NOV 2012) – An offeror shall complete only paragraphs (b) of this provision if the offeror has completed the annual representations and certificates electronically at http://orca.bpn.gov. If an offeror has not completed the annual representations and certifications electronically at the ORCA website, the offeror shall complete only paragraphs (c) through (o) of this provision which can be obtained electronically at http://www.arnet.gov/far. 5. FAR 52.212-4 Contract Terms and Conditions-Commercial Items (Feb 2012) The following addendum applies: Address for submission of invoices is Commercial Invoices USCG Finance Center PO BOX 4115 Chesapeake, VA 23327-4115 (800)564-5504 6. 52.212-5 Contract Terms and Conditions Required to Implement Statutes or Executive Orders -Commercial Items (November 2012) The Contractor shall comply with the FAR clauses in this paragraph (b) that the contracting officer has indicated as being incorporated in this contract by reference to implement provisions of law or Executive orders applicable to acquisitions of commercial items: 52.222-3, Convict Labor (June 2003) (E.O. 11755). 52.222-19, Child Labor-Cooperation with Authorities and Remedies (Jul 2010) (E.O. 13126). 52.222-21, Prohibition of Segregated Facilities (Feb 1999). 52.222-26, Equal Opportunity (Mar 2007) (E.O. 11246). 52.223-18, Contractor Policy to Ban Text Messaging while Driving (Aug 2011) (E.O. 13513). 52.225-13, Restrictions on Certain Foreign Purchases (Jun 2008) (E.O.’s, proclamations, and statutes administered by the Office of Foreign Assets Control of the Department of the Treasury). 52.232-33, Payment by Electronic Funds Transfer-Central Contractor Registration (Oct. 2003) (31 U.S.C. 3332). 7. 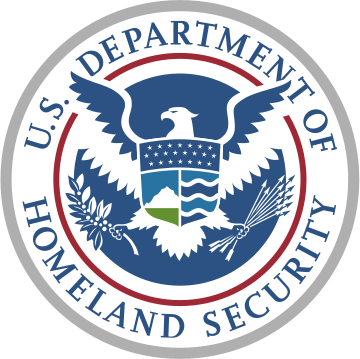 HSAR Contract Terms and Conditions Applicable to DHS Acquisition of Commercial Items (SEP 2012) The Contractor agrees to comply with any provision or clause that is incorporated herein by reference to implement agency policy applicable to acquisition of commercial items or components. The provision or clause in effect based on the applicable regulation cited on the date the solicitation is issued applies unless otherwise stated herein. The following provisions and clauses are incorporated by reference: (a) Provisions 3052.209-72 Organizational Conflicts of Interest 3052.219-72 Evaluation of Prime Contractor Participation in the DHS Mentor Prot g Program (b) Clauses. 3052.203-70 Instructions for Contractor Disclosure of Violations 3052.204-70 Security Requirements for Unclassified Information Technology Resources 3052.204-71 Contractor Employee Access __Alternate I 3052.205-70 Advertisement, Publicizing Awards, and Releases 3052.209-73 Limitation on Future Contracting 3052.215-70 Key Personnel or Facilities 3052.219-70 Small Business Subcontracting Plan Reporting 3052.228-70 Insurance 3052.242-72 Contracting Officer’s Technical Representative 3052.247-72 F.O.B Destination Only The full text of HSAR clauses above may be accessed electronically at this address: http://www.dhs.gov/xlibrary/assets/opnbiz/hsar.pdf 8. 25.101 BUY AMERICA ACT (a) The Buy American Act restricts the purchase of supplies that are not domestic end products. For manufactured end products, the Buy American Act uses a two-part test to define a domestic end product. (1) The article must be manufactured in the United States; and (2) The cost of domestic components must exceed 50 percent of the cost of all the components. In accordance with 41 U.S.C. 431, this component test of the Buy American Act has been waived for acquisitions of COTS items (see 12.505(a)). (b) The Buy American Act applies to small business set-asides. A manufactured product of a small business concern is a U.S.-made end product, but is not a domestic end product unless it meets the component test in paragraph (a)(2) of this section. (c) Exceptions that allow the purchase of a foreign end product are listed at 25.103. The unreasonable cost exception is implemented through the use of an evaluation factor applied to low foreign offers that are not eligible offers. The evaluation factor is not used to provide a preference for one foreign offer over another. Evaluation procedures and examples are provided in Subpart 25.5. 52.249-1 TERMINATION FOR CONVENIENCE OF THE GOVERNMENT The Contracting Officer, by written notice, may terminate this contract, in whole or in part, when it is in the Government’s interest. If this contract is terminated, the rights, duties, and obligations of the parties, including compensation to the Contractor, shall be in accordance with Part 49 of the Federal Acquisition Regulation in effect on the date of this contract. 10. NOTICE FOR FILING AGENCY PROTESTS United States Coast Guard Ombudsman Program. It is the policy of the United States Coast Guard (USCG) to issue solicitations and make contract awards in a fair and timely manner. The Ombudsman Program for Agency Protests (OPAP) was established to investigate agency protest issues and resolve them without expensive and time-consuming litigation. OPAP is an independent reviewing authority that is empowered to grant a prevailing protester essentially the same relief as the Government Accountability Office (GAO). Interested parties are encouraged to seek resolution of their concerns within the USCG as an Alternative Dispute Resolution (ADR) forum, rather than filing a protest with the GAO or some external forum. Interested parties may seek resolution of their concerns informally or opt to file a formal agency protest with the contracting officer or Ombudsman. Informal forum with the Ombudsman. Interested parties who believe a specific USCG procurement is unfair or otherwise defective should first direct their concerns to the cognizant contracting officer. If the contracting officer is unable to satisfy the concerns, the interested party is encouraged to contact the USCG Ombudsman for Agency Protests. Under this informal process, the agency is not required to suspend contract award performance. Use of an informal forum does not suspend any time requirement for filing a protest with the agency or other forum. In order to ensure a timely response, interested parties should provide the following information to the Ombudsman: solicitation/contract number, contracting office, contracting officer, and solicitation closing date (if applicable). Formal Agency Protest with the Ombudsman. Prior to submitting a formal agency protest, protesters must first use their best efforts to resolve their concerns with the contracting officer through open and frank discussions. If the protester’s concerns are unresolved, an independent review is available by the Ombudsman. The protester may file a formal agency protest to either the contracting officer or as an alternative to that, the Ombudsman under the OPAP program. Contract award or performance will be suspended during the protest period unless contract award or performance is justified, in writing, for urgent and compelling reasons or is determined in writing to be in the best interest of the Government. The agency’s goal is to resolve protests in less than 35 calendar days from the date of filing. Protests shall include the information set forth in FAR 33.103. If the protester fails to submit the required information, resolution of the protest may be delayed or the protest may be dismissed. This will not preclude re-filing of the protest to meet the requirement. To be timely, protests must be filed within the period specified in FAR 33.103(e). Formal protests filed under the OPAP program should be submitted to: Department of Homeland Security United States Coast Guard (CG-9131) Ombudsman Program for Agency Protests 1900 Half Street, SW, Room 11-0602 Washington, D. C. 20593-0001 FAX: 202.475.3904 11. Questions and quotes shall be emailed to Donald.r.dean@uscg.mil . Contractors are responsible for verifying receipt of quotes. Place of Performance: USCGC OBION 3301 HWY 60 EAST OWENSBORO, KY 42303 US URL: https://www.fbo.gov/spg/DHS/USCG/USCGELC/HSCG85-15-Q-P45M14/listing.html This notice is provided by the Kentucky Procurement Technical Assistance Center (PTAC). The information is believed to be correct, but should be verified with the issuing agency/organization.